Like a lot of people, I have more than one hobby. My “Summer Hobby’ is restoring and operating old railway motor cars, or speeders. 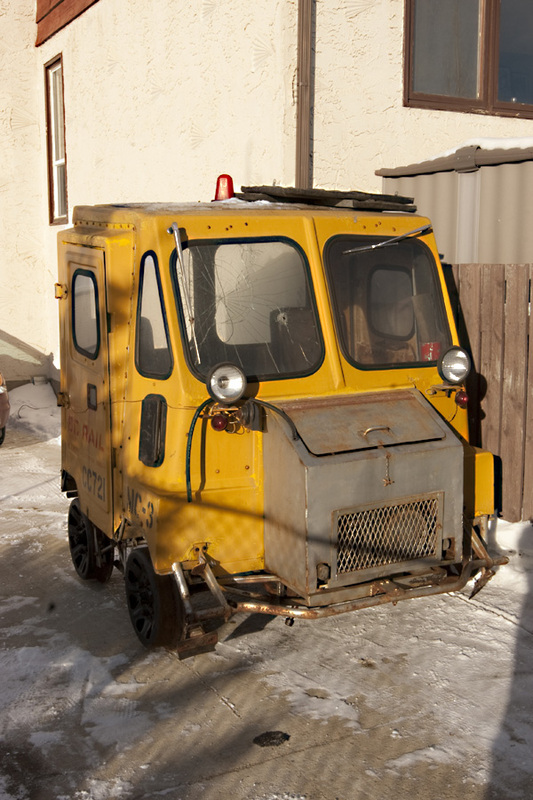 Once used by railroads in MOW service before being replaced by high rail trucks, speeders are now owned and (sometimes) operated by private individuals across North America. Much like an old car club, we meet several times a year on selected railways, and with their permission and assistance, operate our cars on a portion of their tracks. We have our own rule book, insurance, and operating licenses, so it is all perfectly legal. I currently own 4 cars, 2 of which run, with a 3rd almost complete and a 4th set aside as a future project. 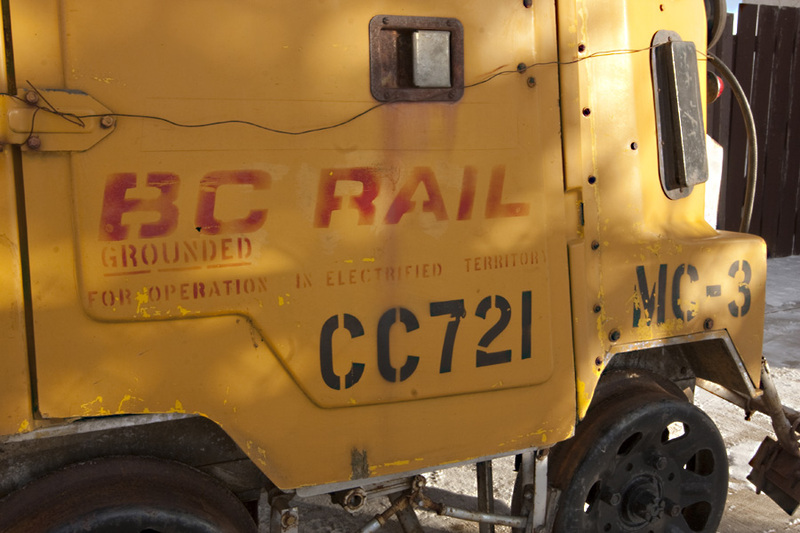 That future project is quite special to me, as it is a former BC Rail Railcar Canada CBI car. “Grounded for Operation in Electrified Territory” which to me says this car likely operated on the electrified Tumbler Ridge Subdivision. The car is in rough shape, but I did managed to get the motor to run! 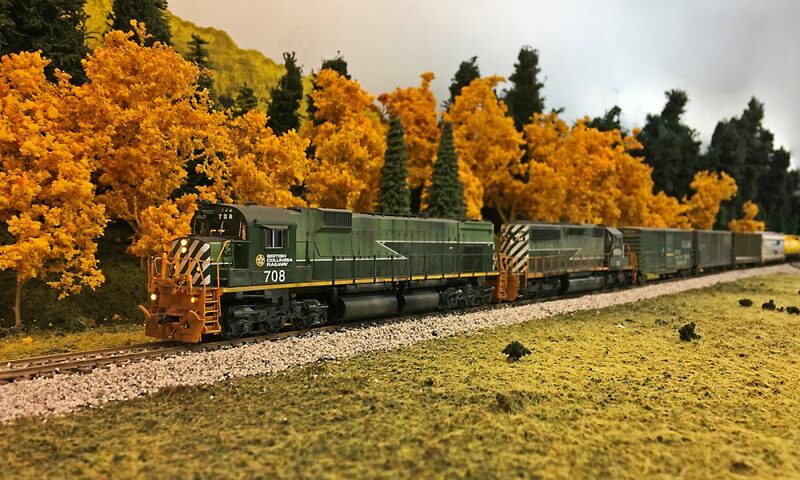 It is a very model built by the Railcar Canada company in Hamilton Ontario, in 1981. The car still has its builders plate, with a serial number A022, making it the 22nd car built! It is estimated Railcar Canada and its successor Woodings built around 400 cars. It is currently stored awaiting the day when I can restore the car. I want to keep as much as I can on the car original, which means leaving the paint as found. Most of the work will be mechanical and interior. I stripped out most of the interior and all the old rotted wiring from the car before placing it into storage. Through the magic of the internet, I managed to track down the original owner of the car, after it was purchased from BCR. It seems that back in the day, BCR would not sell any surplus speeders to Canadian residents, for fear they might run them on railway tracks! Americans, however, were free to buy as many as they wanted! The old owner of the car told me he was able to purchase my speeder from BC Rail for the princley sum of $30 Canadian. Yes that’s right, 30 bucks! Here is a photo the old owner sent me, of my car in the back of an old Ford Ranger (the original full size Ranger) in the Squamish (corrected thanks Dave!) yard. Someday that old BC Rail motor Car will run again! This entry was posted in Speeders by tsokolan. Bookmark the permalink. 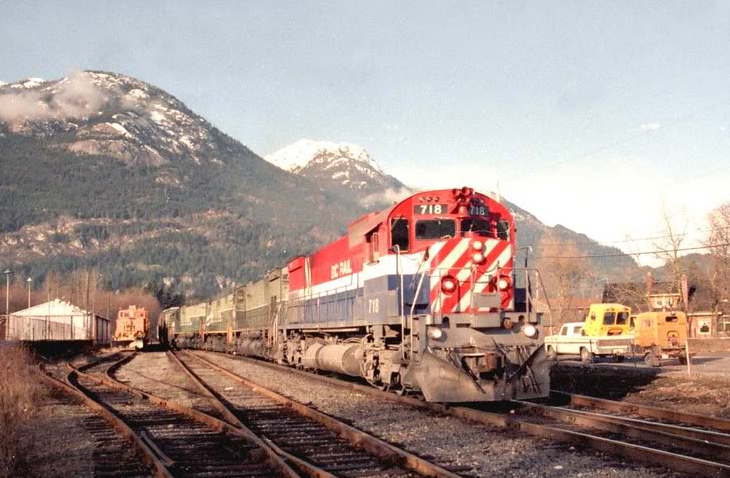 I think the picture of the speeder in the back of the truck was taken by the old Squamish station. look familiar, as does the mountains in the background (not so high around PG). I think you are right David! Somewhere in my emails I have some more info, I still have yet to find it! Hi: Do you know of any Canadian sources for Speeders for sale, as close to B.C. as possible. My car is MC-7, and is Series 81 A027. The motor is being rebuilt as I type this. The soundproofing material was rotted from age, and was removed. It took some time to get the particles out of the car. A polyurethane gas tank is being installed while we evaluate our options for getting a replica of the original fabricated out of stainless steel. Gearbox and differential appear to be ok, w/o rust. As for Donald, try greenacre@telus.net over in Nelson BC. He gets a car from time to time and may know where some are. Do you have a speeder for sale? I also have a BCR speeder CC101. It is fully restored. I have a woodings which has mostly been re-built, but does need to be finished it was a project i was working on with my son. But he has lost interest in it. Is there a group or club for Speeders on Vancouver Island ? I would like to get in touch with someone if there is. Possibly looking for a bcr speeder if anyone put there has anything. There are several in Granite City, Illinois at this time. They are at Dan Brown’s railroad yard and include three M19’s, at least one ST2, and a few A4’s. Email me @ thorm19d@att.net for photos. I believe the M19’s start at $500.00 US. Everything there is being auctioned off next Feb-April, as the former owners sons work elsewhere and they don’t want to deal with this anymore. MC-7 update……….the car ran at the 2017 Spring Bluebonnet Run in Llano Texas last April. The driveline is very efficient and I was spinning the wheels without knowing it. Once I reduced the throttle, she took off and ran as fast as 43 kph. I’m painting the interior white and plan to put a modern BC Rail loco on the hood. Smaller Railcar Canada decals will adorn the front corners and I’m looking forward to the 2018 operating season.